MONSTA X, one of the hottest K-Pop bands in the world returns this summer with their third world tour, the 2019 MONSTA X WORLD TOUR ‘WE ARE HERE’. Proudly presented by AEG Presents and Powerhouse and under the management of Starship Entertainment, the band is launching a global-scale tour for the third year in a row. 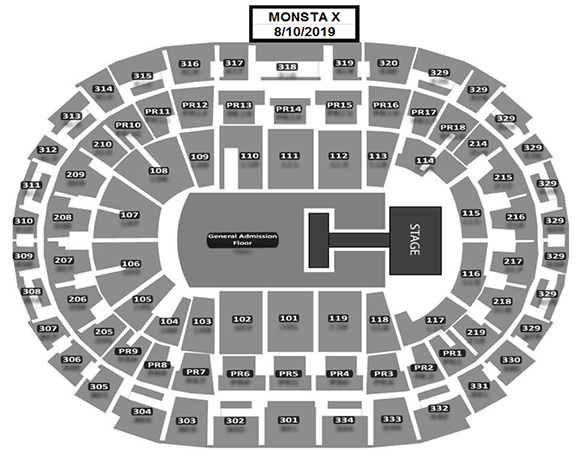 Their biggest tour ever, MONSTA X is scheduled to perform in 18 cities in 12 countries across Asia, Europe, Australia, as well as North and Latin America including a stop at STAPLES Center on August 10.